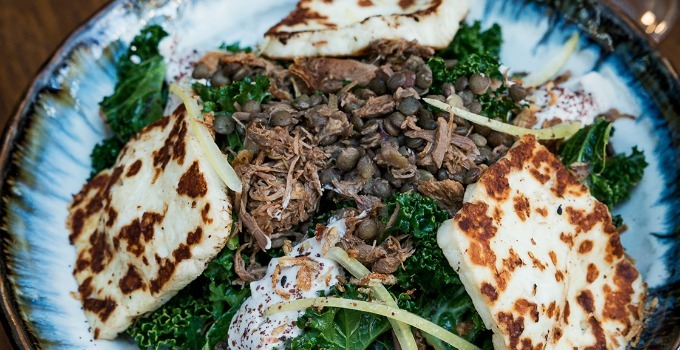 It’s BBQ season and what could be better than slow cooked lamb, grilled haloumi, black lentils and pomegranate yoghurt? From the new Wild Sage Barangaroo menu, this slow-cooked lamb salad is sure to win over the toughest critics. Marinate the lamb with Moroccan spice, sugar and salt1 pepper, Virgin oil. Grate cucumber, salt, lemon rind and pepper mix with greek yoghurt mint. Refrigerate until required.